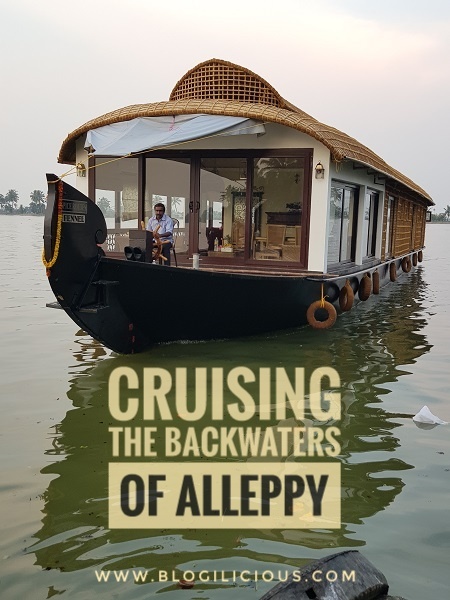 Cruising with Spice Routes on Kerala's Backwaters | Bringing you travel inspiration and information from around the world. 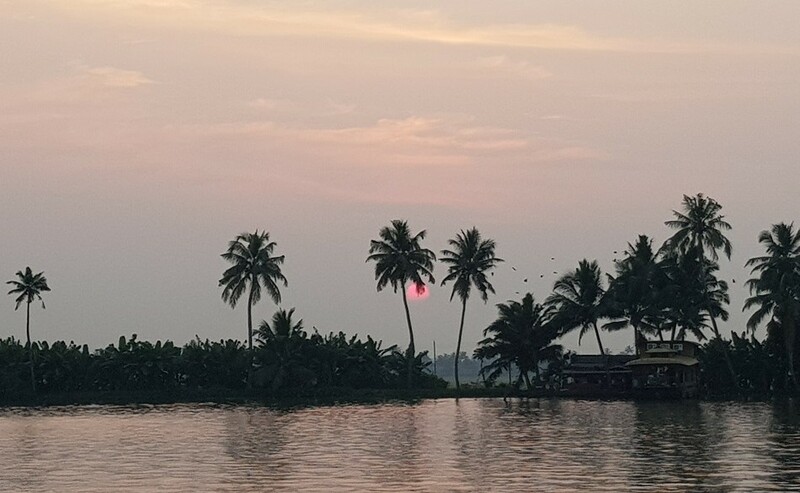 The backwaters have long been the mainstay of the Kerala experience, with houseboats as cherries on top. What was once the humble trading vessel ‘Kettuvalam’ (Malayalam for a boat tied with ropes) found itself reworked into a novel floating holiday in the early nineties. Spice Routes luxury houseboats takes it up a few notches with their luxury cruises, offering the traditional houseboat stay decked with five star amenities and seasoned with local experiences. Equal parts steeped-in-nature and drenched-in-luxury, the cruise offers the best of both worlds. 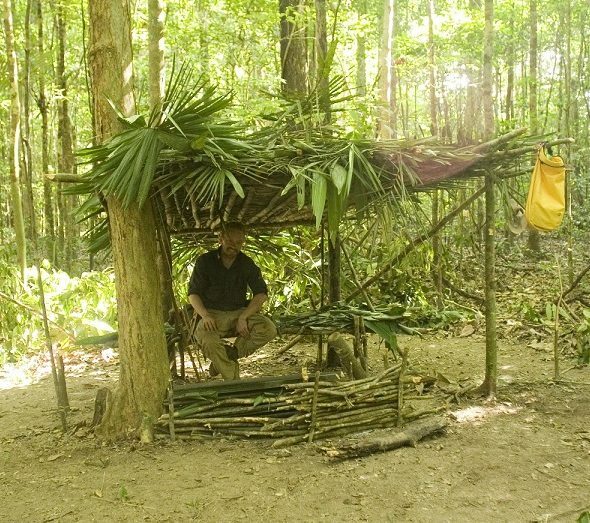 I enjoyed having my creature comforts without being cut off from the elements. The sliding glass doors framing the horizon, the sound of crickets filling the air and the gentle rocking of the boat never letting us forget we were on water. Backwaters are the part of the river that decided not to rush or roar, but to flow and wander. Waters that decided they want nothing to do with the river’s current set the pace here, so leave all Type A tendencies behind. Cruising along these backwaters is for those who desire a taste of life in the slow lane, days free of checklists and minds free of electronic distractions. The calm pace of the houseboat on an equally unperturbed Lake Vembanad made it clear pretty soon that this wasn’t about going somewhere, rather about lingering in the here and now. Seconds ticking away had been ousted by the gentle swaying and sashaying of our floating home, like a giant hammock intent on soothing every last nerve. 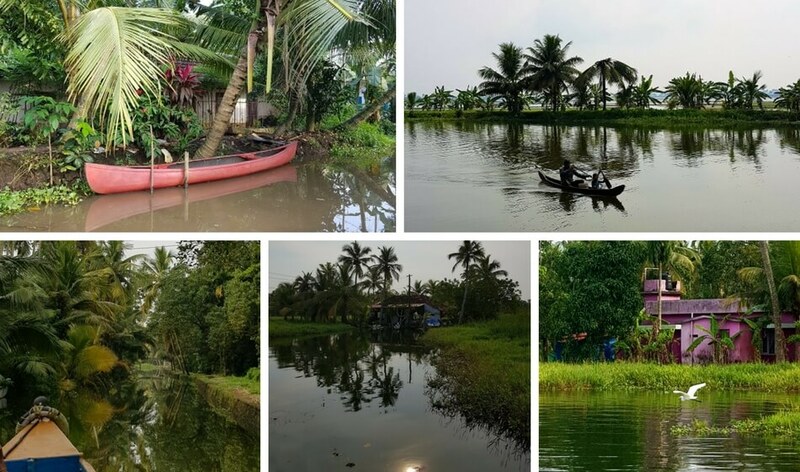 An hour’s drive from Kochi, Allepey (Allapuzha before it was anglicized) etymologically means ‘the land between the sea and its rivers’. Freshwater from the river meets the seawater from the Arabian Sea here, both forgetting their differences as they quietly whip up postcard views. 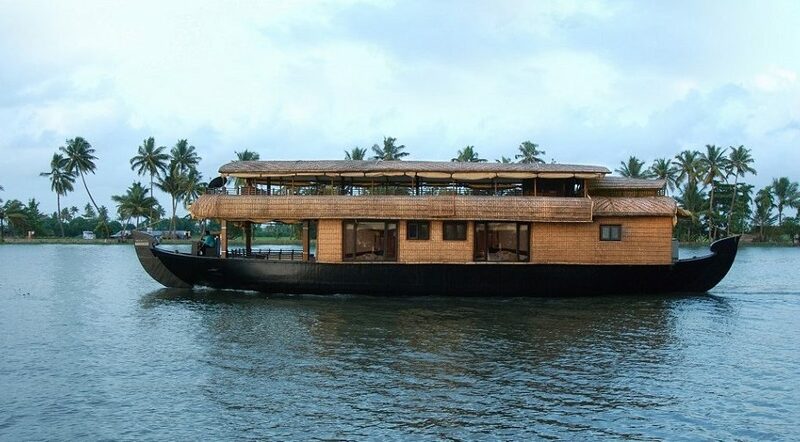 Several houseboats dot the waters of Alleppey but few stand out in terms of hospitality and luxury quotient. 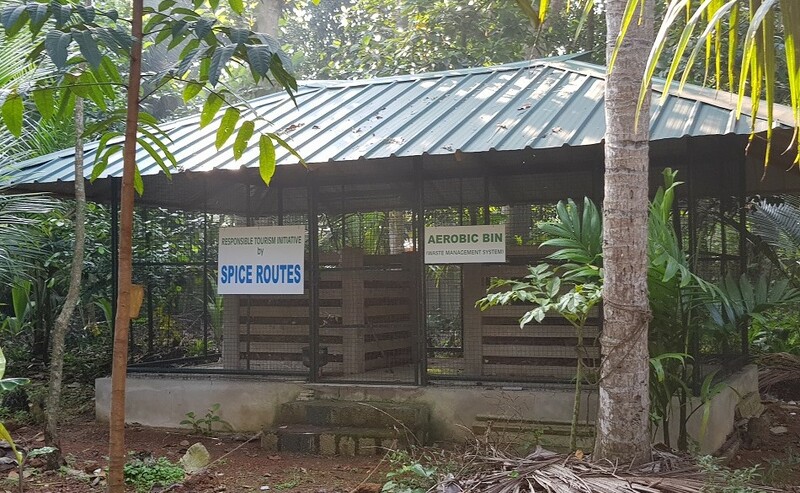 Spice Routes operates a fleet of 7 houseboats – Pepper, Clove, Cardomom, Tamarind, Saffron, Cinnamon, Fennel. 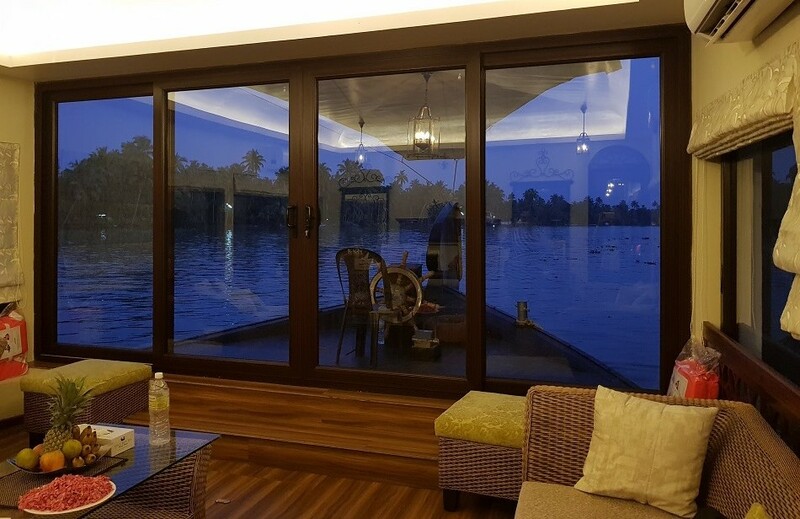 Named after the spices of the land, in a nod to the traditional houseboat’s spice trade history, ferrying spices from Kuttanad to the Kochi port. Spice Routes Luxury Houseboats offers a cruising experience that marries luxury with local, leisure with activity, and warm Allepey weather with warmer hospitality. 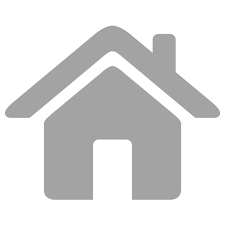 Fennel, our 98-foot long houseboat, has 3 bedrooms with attached bathrooms and a well-furnished common deck, an indulgent dining area and a kitchen. The crew consisted of Captain Sijo, Chef Saiju and his assistant Abhishek. Their helpful nature and the fully air-conditioned, aesthetic interiors made for a well-cosseted weekend on the water. The blink-and-miss cell phone reception was an unexpected bonus. Wouldn’t it be a pity – staring into a screen and checking emails in this backdrop? Sitting on the bow was a great way to while away the day, and when it got too warm, we headed inside to the common area on the deck. Lounging on sofas between large windows and taking in the views from the glass doors that separated our air-conditioned comfort from the warm breeze outside. For those with an eye for detail and a palate for variety, the food will be a big highlight of the trip. Chef Saiju was happy to demonstrate his cooking skills and customize meals to our whims. 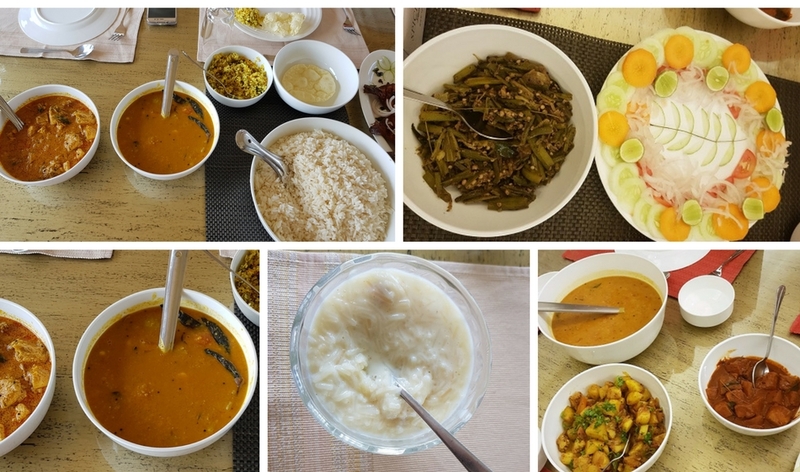 My vegetarian ways were well-catered to, and my non-vegetarian fellow travellers had quite a variety of local seafood delicacies to feast on. A tasteful attention to detail made itself evident in the food as well as the décor, ambience and general maintenance of the houseboat. If you ask me, too much luxury (yes, there is such a thing) can make the days seem bland and uneventful. 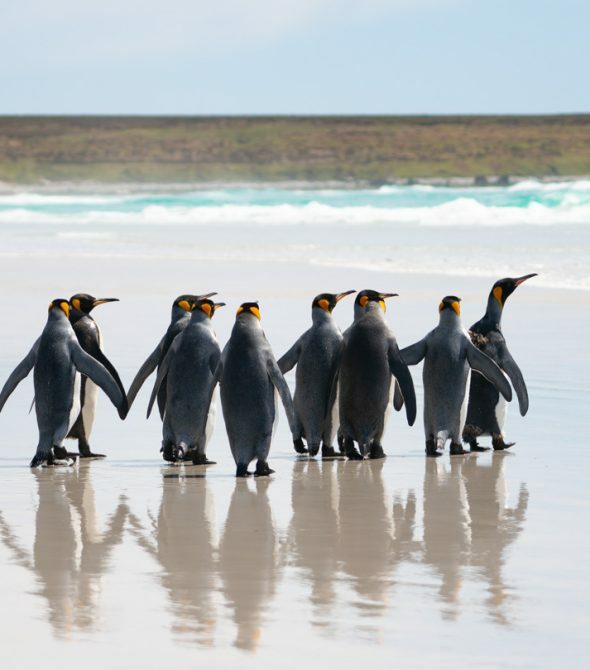 Surprise and spontaneity are non-negotiable in any travel experience worth its salt. 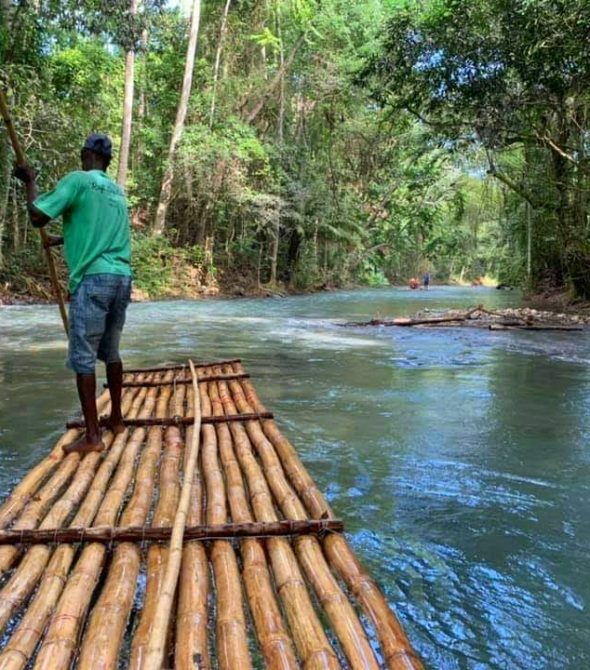 Which is why exploring villages on foot and learning about the locals’ way of life are integral to the Spice Routes itinerary. Our two days of on-board luxuriating were thoughtfully punctuated with detours into various facets of the countryside. A village tour that had us gate-crashing a temple wedding, a church visit that showed us some impossibly intricate artwork, a canoe ride that had us ducking under bridges, and the ever-important visit to a toddy (palm wine) farm where we stocked up on this local marvel. A one-of-a-kind staple without which no trip to Kerala is complete, I’m told. One of our pit stops was the Basilica of St Mary at Champakolam, said to be one of the oldest Portuguese churches in India. Nearby are some art emporiums stocked with wood carvings and souvenirs. Spice Routes even arranged for us a canoe that took us through narrow water-ways that link several islands and villages peppered across the coast. Our oarsman told us about life alongside the canals and how locals treat fishing as a family activity. Palm trees leaning on the lazy breeze, the warm sticky embrace of Allepey air growing more familiar by the minute. And just like that, a weekend had gone by. On our way out, we passed this Earth-friendly waste management system that converts all the waste from the houseboats into manure for the plants grown here. 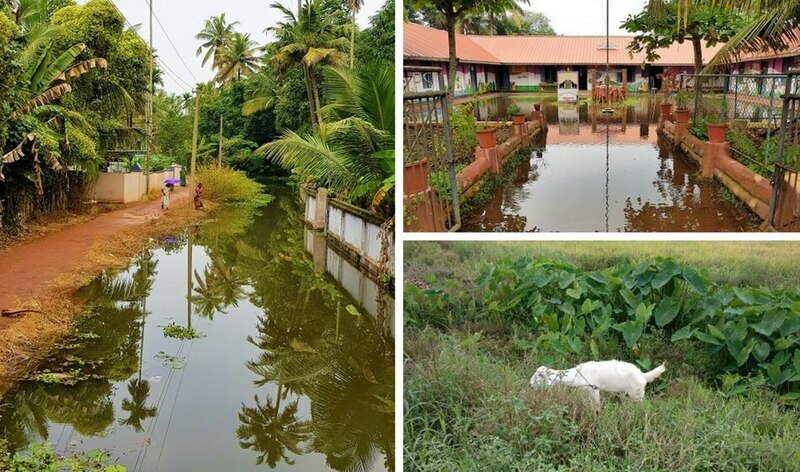 Environmental responsibility is essential if we intend to preserve the ecosystem of the backwaters. 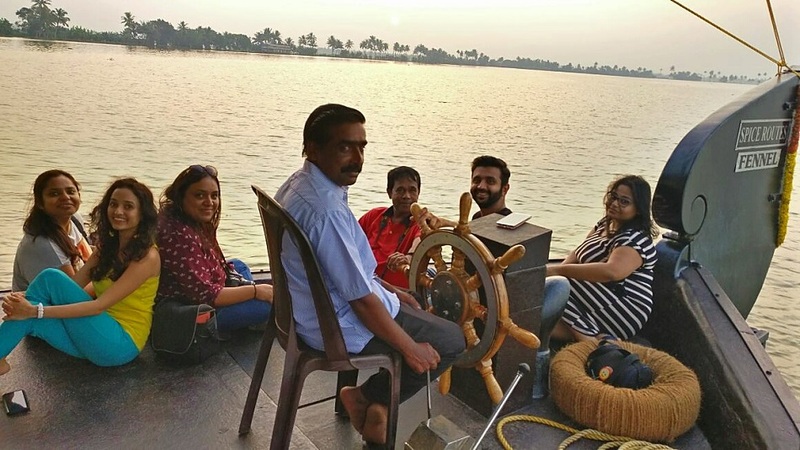 Gliding on the backwaters showed me what it means to move through the days with an unhurried sense of time and zero agenda – a luxury long lost to most of us. I suspect it’s deliberate they don’t have a clock on board. The next time you need a break that pampers your senses as much as it tickles your curiosity for an unconventional slice of life, you know where to head! 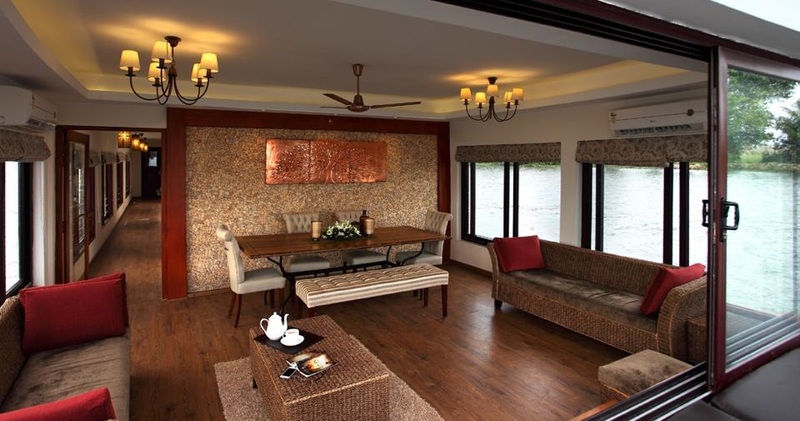 For information on prices and how to book these luxurious houseboats, contact Spice Routes. 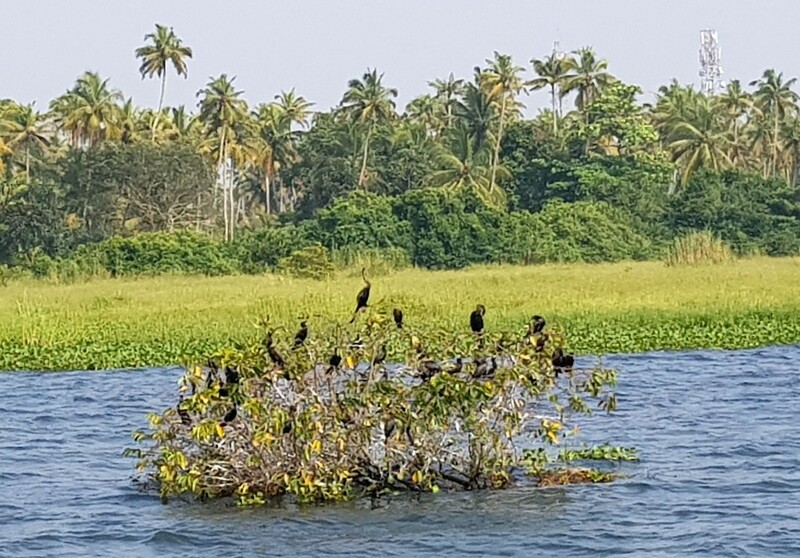 Tip: A trip to Alleppey can easily be combined with a few days in Thekkady to experience a different facet of Kerala- Plantations and wildlife!